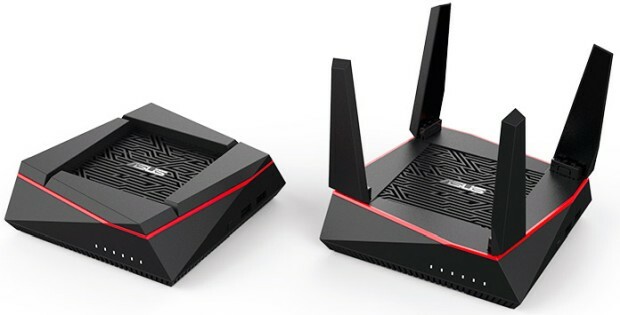 In terms of functionality, the GT-AX11000 can designate a 5GHz band as a specific client.Asustek stated that in the future it will provide firmware updates so that it can join the AiMesh network. The AiMesh AX6100 wireless networking system does not seem to be crazy, but its strength can not be ignored. In addition to the two RT-AX92U routers included in the kit, users can also add other compatible routers. The RT-AX92U has 400Mbps 2.4GHz bandwidth, 802.11ac frequency band is 866MHz, and the latest 802.11ax frequency band is 4804MHz.Mesh networking capabilities make it possible to roam between 802.11ax signal nodes. Most of the hardware of the RT-AX88U is the same as Rapture, but more focused on small business networks.It has a 2.4 GHz bandwidth of 1148 Mbps and 5 GHz bandwidth of 4804 Mbps. 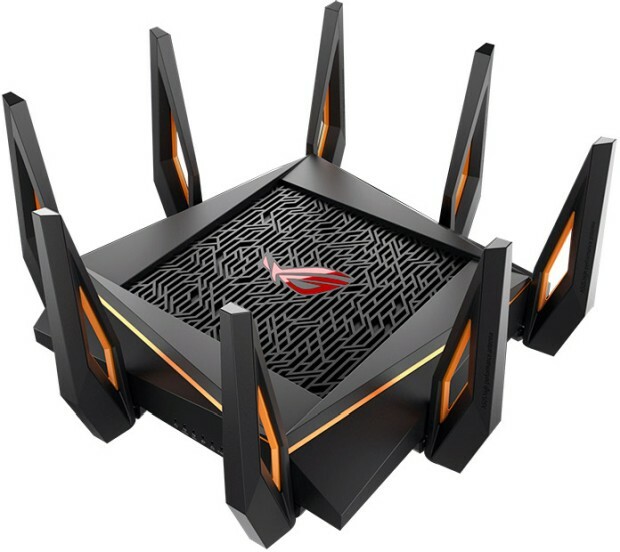 The figure shows that it is equipped with four gilt antennas, eight Gigabit Ethernet ports on the back (which can partially replace Gigabit switches), and a pair of USB 3.1 Gen 1 ports (connectable printers, external storage, or 4G modems). Module). 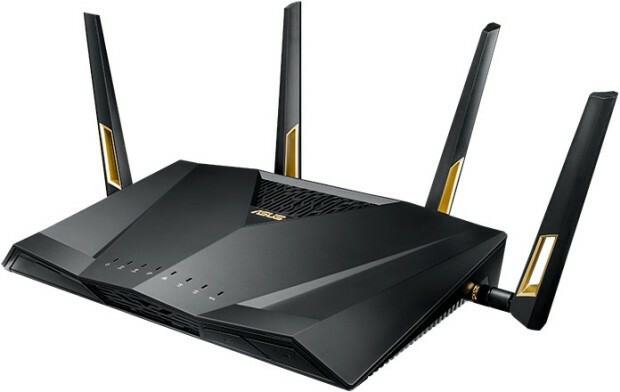 Like the GT-AX11000, the RT-AX88U will also receive firmware updates from the AiMesh wireless network.Asustek said that users can set up via webpage or supporting Android / iOS app. 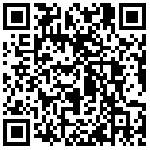 It is worth mentioning that ASUS also collaborated with Trend Micro to bring AiProtection Pro intelligent protection. The above products are expected to be listed in the third quarter of this year. Unfortunately, Asustek has not yet announced pricing.